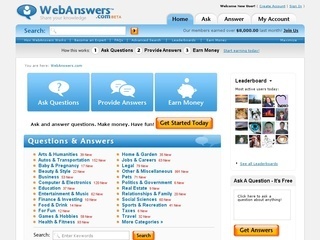 WebAnswers is one of the few question and answer websites that actually pays you to answer questions online. WebAnswers is similar to Yahoo Answers and also has the same idea. You sign up, participate in the WebAnswers community by answering questions, asking your own questions, and earn money on the side. The best part is that you'll learn new knowledge as you browse the thousands of questions on the site. The first thing you'll need to do is create an account before you can start using WebAnswers. You'll need to enter your full name, email address, and country of residence. Next, you'll need to create a user name and enter a password. Think about a user name before just entering one because you'll only be able to change it once throughout the life of your WebAnswers account. WebAnswers homepage with many categories to choose from. Some of the many categories on WebAnswers. Before you can earn money on WebAnswers, you'll need to answer 50 questions. This is to weed out spammers. The good thing is that WebAnswers generally has better quality answers and a lot less spammers compared to Yahoo Answers. To answer a question, you should choose a topic that you're interested in and know a lot of information about. If none of the topics on the homepage interest you, you'll be able to find more topics by clicking on "more categories >>." Once you have answered 50 questions, you'll get an email from WebAnswers to join Google AdSense. On WebAnswers, you get paid by Google AdSense, not WebAnswers directly, because Google pays you and WebAnswers to place ads on the site. Follow the steps in the email to apply for a Google AdSense account. As long as you didn't answer any questions that violate Google AdSense' policy (alcohol, sexual, adult, gambling content, etc.) than you should be able to get approved in a few days to a week. It will vary by country. I was lucky myself and was able to get an AdSense account in only 2 days. WebAnswers gets 40% of the Ad revenue to maintain the site and make money. All you have to do now is continue to answer questions and you'll start to see the money come in. Create milestone goals (such as 1000 answered questions, 2000, 5000, 1000, 25000, etc.) and try to reach them. For your first few days or weeks, you may get some $0.00 days, but don't be discouraged because you won't get anymore $0.00 days once you've answered a lot of questions. Many users report a nice increase in earnings once they get near the 1000 answered questions mark as well as other big milestones. If you've answered a good quality answer and a user liked it, they will have the opportunity to award your answer. This is similar to getting "best answer" on Yahoo Answers. If a question isn't awarded, the ad revenue is split up by the number of people that answered a specific question. That means you'll barely earn anything on a questions with many answers. With an awarded answer, you'll get 100% of the earnings on that specific question regardless of the number of people who answered a question. 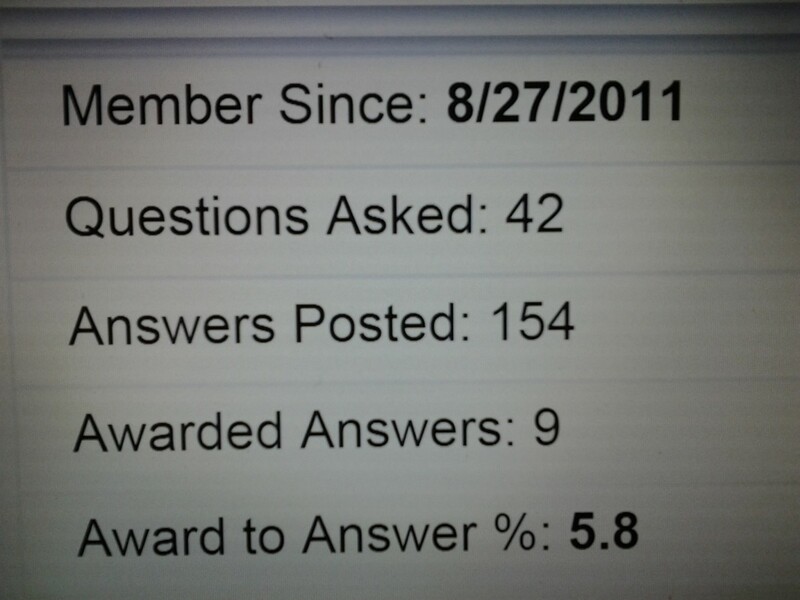 This is the main reason why awarded answers are valuable at WebAnswers. Unfortunately, many users don't award their questions. Especially questions that were asked years ago. Each question on WebAnswers will have a colored bubble with the number of answers in it. The number of answers represents how many people have answered the question so far. These bubbles can be green, blue, or red and represent different things. Green bubbles: An answer with a green bubble means the answer is open, can be answered, and revenue can be earned on this question. Blue bubbles: An answer with a blue bubble means the answer had been awarded to someone else. You won't be able to answer these questions nor can you earn ad revenue even if you've answered one of these questions already. Red bubbles: An answer with a red bubble is an answer that has been awarded to you. You will receive 100% of ad revenue and these answers has been closed to other users. Most people will think quantity matters the most because more answers means more income right? Not necessarily. Paying attention to quantity by answering a lot of question will help, but if you want to succeed on WebAnswers, you'll also need to pay attention to the amount of quality you're putting in your answers. Short answers: Answering questions in one word or a sentence will put you at a disadvantage. Readers want a lot of information, not a single line of information that may not answer the question completely. WebAnswers also calculates your quality score based on the length of your answers. Too much misspelled words/bad grammar: You'll want to avoid misspelling words and bad grammar in your questions. This will greatly affect your quality score negatively if done a lot. Instead, always reread your answers before posting. You only have 15 minutes to edit an answer once it's posted so be careful. Writing one long block of text: There is nothing worse than trying to read a long block of text. To make your answer look clean and professionally done, you'll want to break up your answer into paragraphs. Paragraphs are also good for transitioning if you want to go onto a new subject. Rambling on: Don't feel like you need to keep talking about the same things over and over just to get a long enough sentence. If your answer starts to repeat, ramble on, or make no sense, you'll want to just stop and conclude your answer. After all, it's better to have a short answer than a long answer that makes no sense. Questions that ask you to write about something in one or two words: You'll often see pointless questions that ask you to describe a subject (ex: love, life, wealth, etc.) in one or two words. Other questions will ask you to finish a sentence that the asked has started. 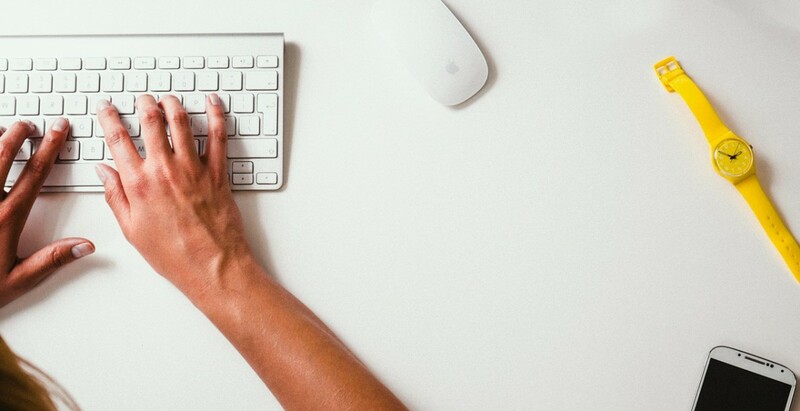 Most people ask these questions for the sole intention of getting many views and ad clicks. These questions will lower your quality score because two words is looked upon as a short. In addition, they usually already have a bunch of answers. Remember: lots of answers= very little ad revenue. Are you right of left handed? Pick a number between 1-100. The one who gets it right gets awarded! What kind of car do I drive? The first one to answer right gets the award! This is probably the question that people want answered the most. On WebAnswers, your earnings will vary daily. No two days are alike when it comes to earning on WebAnswers. You'll have your bad days where ads don't pay much per click and you get less views. You'll also strike a good day where everyone is interested in clicking your own ads and you get a huge spike in views. When you start, you'll earn just cents per day. As you answer more questions, you'll begin to build up more questions and earn more. You'll quickly see a $1 day and eventually a $2 day. Within the first month or two, most users report earning a stable $50/month. As long as you stay active, it's definitely possible to hit the $100/month payout threshold after 6 months to a year. If you're able to stay on WebAnswers for many years, you can earn much more. 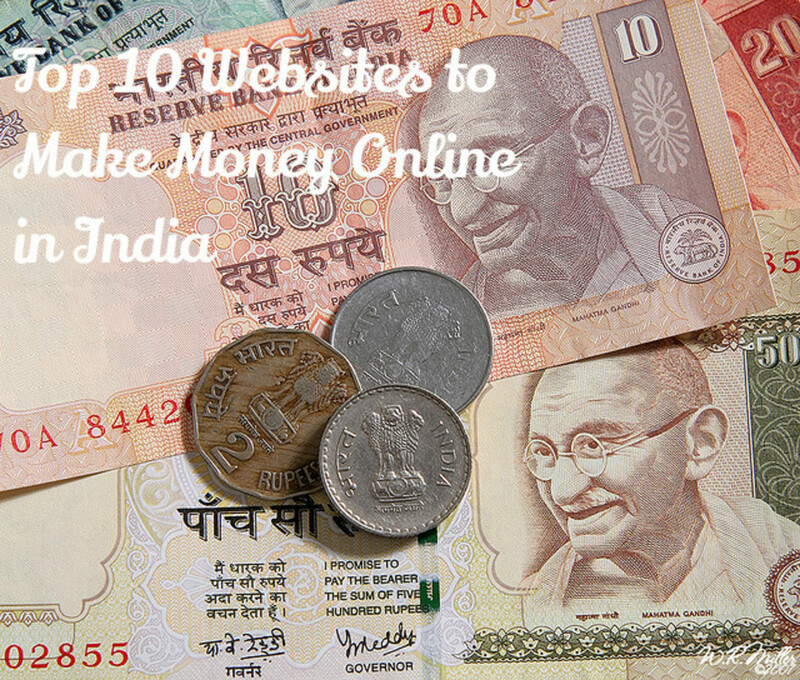 In fact, the top users on WebAnswers are earning up to $700 per month. Remember that you can check your earnings anytime on your Google AdSense account. If you don't earn $100 by the end of the month, your earnings will be rolled over to the next month until you earn $100. Once you hit the $100 mark, you'll be paid by your preferred payment method, unless you choose to hold your funds in your AdSense account for up to a year. In the US, you can only get paid by direct deposit to a checking or savings account. You'll need a routing number if you choose to get paid this way. Otherwise, Google allows you to get paid by check if you live in certain countries. It's 100% free to ask questions! You get paid to ask questions! If you've taken surveys or offers for cents or you're just looking for a new way to earn money online, give WebAnswers a try. With WebAnswers, you can just quickly answer a question when you've got a minute, unlike a survey that must be completed in one sitting. Are You Interested In Joining WebAnswers? How Much Do You Earn Per Month On WebAnswers? I already have an adsense in my blog and it was already activated. Do i need to apply again or just input my adsense ID #..? on WebAnswer.com? You are really luck that you got adsense in just 2 days. I hope you are also one of best members on webanswers. Nice advice. It's entertaining and let's you earn a little (However, I suppose, no one is making big bucks there). Web Answers awhile back because I was hoping to make some money but wasn't certain of the income potential; still need to get through those initial 50 answers though. But I see here that there is income potential so I'll probably spend more time on the site. Personally, I don't like this place. It may be me being wrong but there are many things I don't like. for some of the questions I have answered, I was the only one to answer and I did answer the questions. Even though, nothing's happening and there are been months with no activity on these questions. Then, you have questions where the person is clearly looking for a biased answer. For example, "Can I become the best chess player ever?" and then the answer which would be awarded would be the fake but flattening "Sure, just work hard". What?! This is so wrong. I won't be using anymore of my time there. Im still on the fence about Hubpages and will always use my own websites to make money. As far as I see I make a penny here per day, more days if Im lucky. I'll definitely read more about webanswers. Nice job. 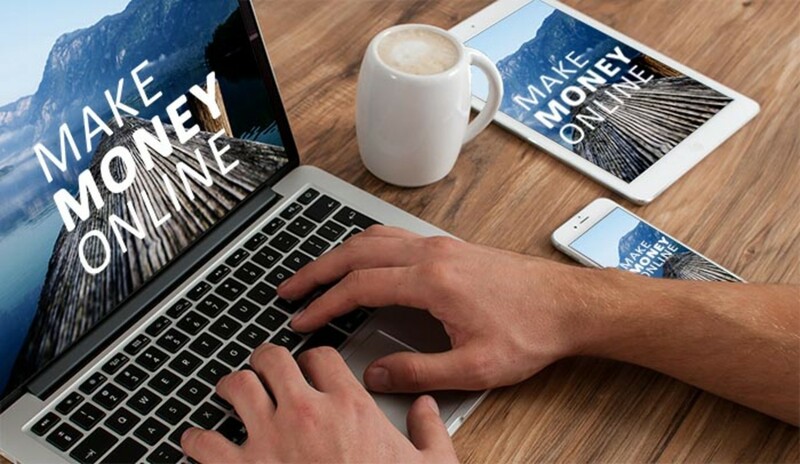 I truly believe that the combination of Hubpages and WebAnswers are the best foundation that one can use for earning online. There are times when my WebAnswers pays very well in one day, and other times when the pennies trickle in and make me glad that I have my Hubpages. Overall, it is easier to earn a lot of money on WebAnswers very quickly while Hubpages pays off after numerous Hubs are published.